When you are going to school, or have a job in academia, it becomes important to use all the tools you can in order to accomplish a wide variety of tasks. As a nursing student, or any other student, it is important to be able to find and organize information. The Internet makes it possible to find a great deal of information on a wide number of subjects, but it can be hard to organize that information, and use it effectively. There’s more to Google than just doing a generic search from the home page. Here are some great tools that can help you get access to amazing information resources. Google Scholar: This is the search engine aimed at finding scholar papers and articles from peer-reviewed journals. Also includes legal opinions, legal case studies and legal journals. Google Patents: If you are interested in seeing the types of patents available, you can use this search to look through more than seven million. 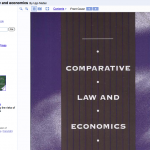 Google Books: Thousands of full-print books on a number of subjects from the frivolous to the scholarly are available. Search their contents online, and read a number of different works, from legal to historical to mathematical. Google News Archive Search: Rather than just relying on the recent “news” feature in standard Google Search, you can go back about 200 years and see articles and information in digital format. U.S. Government Search: Narrow your search according to government related issues, web sites and documents. Makes it easier to find what you are looking for. Google Custom Search Engine: You can create your own custom search engine, based around what is most important to you. Get results that you want, rather than wading through the dross. Web History: Use this to help you get more personalized search results about the subjects you are most interested in. Helps you narrow down your informational searches for more efficiency. Google Code Search: If you are looking for specific source codes, this search can help you. Great for those looking to create their own applications and develop their own methods for scholarly research and organization. As a student or a professional academic, it is vital that you be able to organize your information so that you can retrieve it when needed. Here are some Google tools that can help you keep things organized. Google Mobilizer: Trying to fit something onto a mobile screen? One way you can do this, and help you keep up with your studies from anywhere, is to get Mobilizer, which helps transform the page into something easier to read on the go. Notebook: Simplify the way you organize your research with this clipping application. Clip images, links and texts, and then organize them easily, as well as make notes and share. SketchUp: Create 3D models and organize them. A great tool for students in architecture and engineering. Also helpful for sketches that you make of different concepts and observations. Alerts: If you want to be notified when a subject of interest has new information, you can set up an alert to be sent to you. It can be a daily round up, or you can have an alert sent each time. 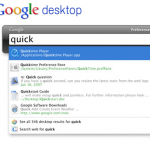 Desktop: You can arrange everything you need on your desktop with the help of this handy Google tool. Get everything you need in one, easily accessible place. Google Pack: Get everything at once. This tool is for Windows users, and offers a range of helpful Google products that can help you better organize your research and keep in touch. iGoogle: You can use this to personalize your web browsing experience. Get what you need to start any scholarly research. Browser Sync: This cool Google tool can help you get all of your academic bookmarks, and other browser settings, saved across your computers. This way, all of your essential research and bookmarks are uniform from your desktop to your laptop to your lab computer. Base: Upload your own scholarly content and share with the world. Add context for increased knowledge. Web Accelerator: You can increase the speed at which your Web pages load. Uses prefetching, data compression and other methods to help speed up the retrieval process. Perfect for those with slower Internet connections. Part of good scholarly work involves some degree of collaboration with other academics. Here are some Google tools that can help you collaborate with others. Google Docs: You probably know that you can perform word processing functions using Google Docs. However, you can also easily share your work and collaborate. See others’ additions, or change settings so that others can only read, and not edit. Send to Phone: You can messages to a phone, right from the Web. Easy to share pages without any trouble amongst collaborators. GrandCentral: Add phone numbers, hook up with others, engage in international calling for cheap, and get text messages by email. An inexpensive way to keep in touch with other members of your group. Google Sites: If you are working on a project with many people at a distance, you can use Sites to collaborate easily. Everyone can add their parts of the project, and you can decide editing privileges. An easy way to build a site together, or just exchange information. GTalk: Don’t just instant message. You can talk out loud over the Internet, or even video. It is possible to “meet” with more than one person as well, and to make the video bigger. A great way for long-distance academic collaborators to share information and make plans. Pinyin IME: Communicate more effectively in Chinese with this helpful tool. It allows you to communicate by typing Western style letters and then translating them into characters. 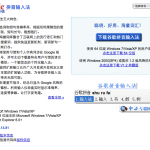 Works to help you translate Chinese characters. Helpful if you are doing research that involves Chinese resources. Babelplex: This helpful tool is not from Google, but it uses Google. A helpful translation tool that can provide you with the means to find scholarly sources using up to 29 language combinations.